Is Boston area on its way to another housing bubble? 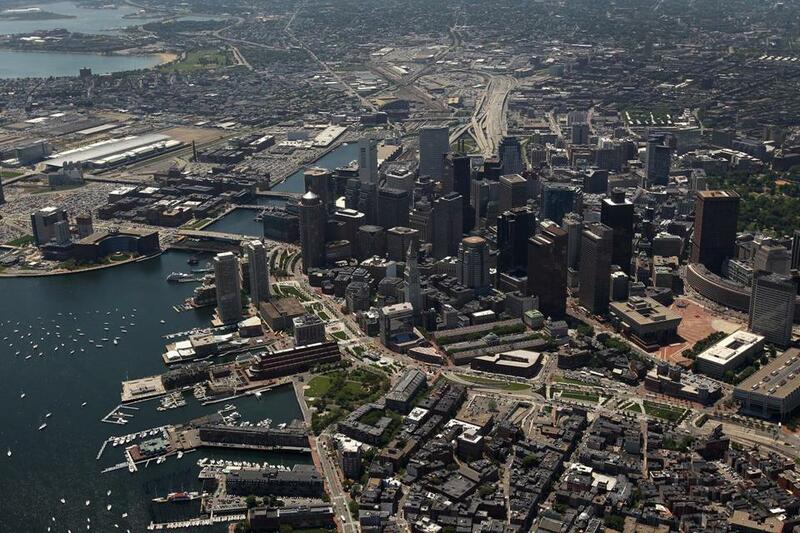 An aerial view of Boston. Home prices are soaring in many communities, open houses are packed, and bidding wars are back in style, which all raises the question: Is Massachusetts headed toward another housing bubble? The relationship between sales prices and rent and replacement costs provides a better understanding of the underlying value of the property and not just what a buyer is willing to pay, according to Smithfield & Wainwright. At the peak of the housing boom, prices in Massachusetts were about double the rental and replacement value of homes. 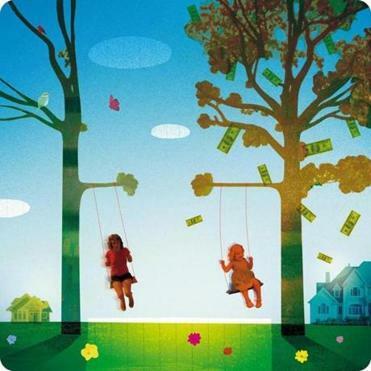 Is living in an affluent town worth it? 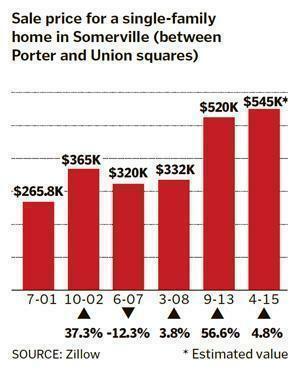 For middle-income buyers, living in Boston’s marquee suburbs can strain the budget, and also the psyche. This could be a formula for another housing crash, similar to what hit a decade ago, when lenders agreed to mortgages that were far higher than what the properties were worth or what homeowners could afford, Macpherson said. But some housing specialists say that while home prices are rising, they haven’t become frothy. Home prices in some sought-after municipalities have appreciated as much as 80 percent since the peak of the housing market in 2005, but those in many other places have not recovered yet, said Timothy Warren, chief executive of Warren Group, a Boston real estate tracking firm. Statewide, the median price in 2014 was $330,000, or about 7 percent lower than the peak of $355,000 in 2005, Warren said. In the Boston area, a tight supply of homes on the market and pent-up demand have combined to drive prices up quickly, said Rachel Hillman, a Newton realtor. But unlike a decade ago, buyers are seeking places to live, rather speculative investments to flip, she said. David M. Blitzer, managing director of the index committee at S&P Dow Jones Indices, which publishes the S&P/Case-Shiller Home Price Index, said if the Boston area’s housing rebound continues at this pace, prices could hit new highs later this year. Hogan Copeland, chairman of Smithfield & Wainwright, said the danger is that prices will become unsustainable. “Pricing of homes cannot outrun incomes,” he said. The red line, showing the average price of homes on the market, is climbing faster than the costs of renting or building a home in Massachusetts and 12 other states, suggesting those markets are overheating and possibly inflating another housing bubble, according to Smith & Wainwright, a real estate valuation company based in Florida. •After years in a bull market, will 2015 keep momentum?